And to team in Dubai - Alex ;) - big hug. 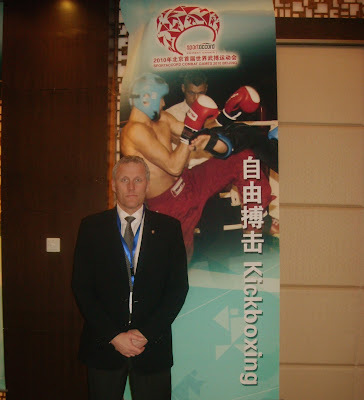 An answer of Mameli savate on Kickboxing superstars 2010. Grandmaster Choi Jung Hwa (General Choi Hong Hi's son) gave a speech at the celebration of ITF Taekwondo's 55th anniversary. Grandmaster Park Jong Soo, one of General Chois most beloved students sits next to him at the table (eating man). Grandmaster Park is the 4th person promoted to 9th degree by Gen. Choi. Grand Master Park was one of the first to introduce Taekwon-Do in Canada. On April 10 2010, Grandmaster Park Jong Soo, Vice President of ITF-NK hosted the 55th Taekwon-Do birthday celebration banquet in Toronto Canada. Special guest of honour at this prestigious event was Grandmaster Choi Jung Hwa, President of ITF. Pres. Choi accompanied by Master Parm Rai arrived at the banquet hall and were greeted by Masters, instructors and guests. Grandmaster Park accompanied Pres. Choi to the head table where he was received by other distinguished guests. Once everyone was settled, Grandmaster Park stood up and began his speech. He emphasized that Canada was the second home for Gen. Choi as he spent most of his years in Canada. He told everyone that since Gen. Choi lived in Canada he will host Gen. Choi’s memorial cup as an annual event. Grandmaster Park during his speech told everyone how he was delighted even more as the son of the founder of Taekwon-Do and ITF President was amongst us. The evening continued with a magnificent display of Korean food which everyone enjoyed. Pres. 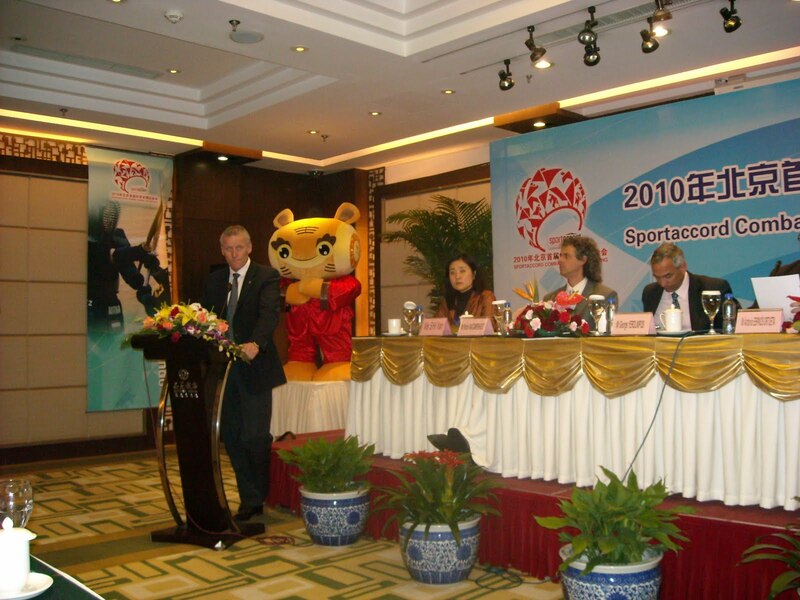 Choi was then introduced by Master George Vitale as the President of the ITF. Pres. Choi stood up and spoke about how he was delighted to be amongst all the people present. He thanked everyone for continuing the teachings of his father, Gen. Choi. He thanked everyone for their endless work in Taekwon-Do. At the end of his speech he received a standing applause. In all the evening was very pleasant seeing many faces of the past and renewing and strengthening of many friendships. Le CROSA, Regional Olympic Committee department of Alsace presents: "La" League d'Alsace - Savate Boxe Francaise. We can see trainer Yvon Nugel, the old friend of Novi Sad, Vojvodina, Serbia. 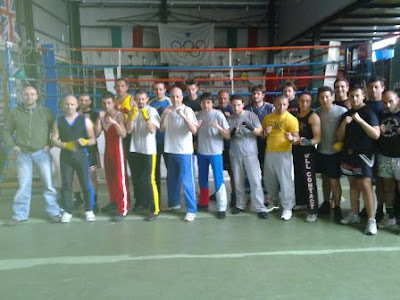 50 years of Savate - Auvr, France. Unanimous descision by the judges....plus Rossy picked up a warning in the 3rd round for striking with the shin, which is forbidden in Savate. DANOIS HERBERT - Savate Boxe Française "TOURNOI DES CARAIBES - GUADELOUPE"
7th of May 2010, Salle Vallier, Marseille, France. 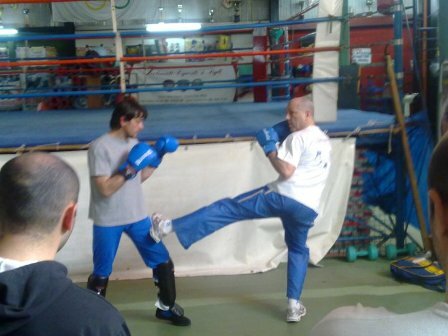 Savate demonstration (11th of April 2010) (not a real assaut) in one of Italian recreational sport federations - called CSEN. Semi Finals - France Elite savate boxe francaise 2010 - category "plumes" - Carbone Romain VS Courville Wesley - 10th of April 2010 in Saint Gaudens. 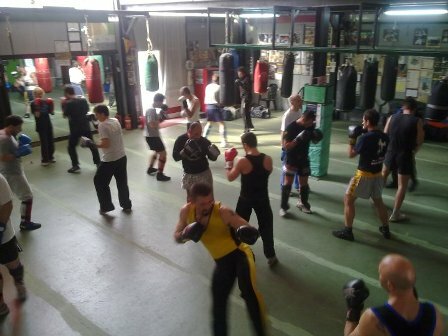 Kickboxing in Croatia stronger than Olympic "english" boxing? Revers - 7th of December 2009. Maestro Alfredo Lallo in Naples, Italy visited historical "english" boxing gym De Novellis on 10th of April 2010. He was invited by Antonio Gallo. Alfredo in his three hours seminar satisfied 40 boxers with his ellegant and fluid savate techniques in a brand new "NIKE" sport shoes. And after all Maestro Matteo Moreo was satisfied too. 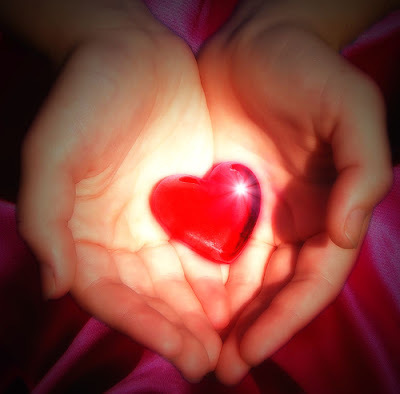 Good night dear children. R. Kurmantaev (Muay thai) vs. A. Melikov (Savate) (-71 kg). Ramil Kurmantaev - muay thai champion of mother Russia. Arsen Melikov: They call him savate fighter who does ritual muay thai walk just before savate fights. Weird? Not at all. Zeljana Pitesa won. Will we see her like kickboxer Agron Preteni this year in savate combat? 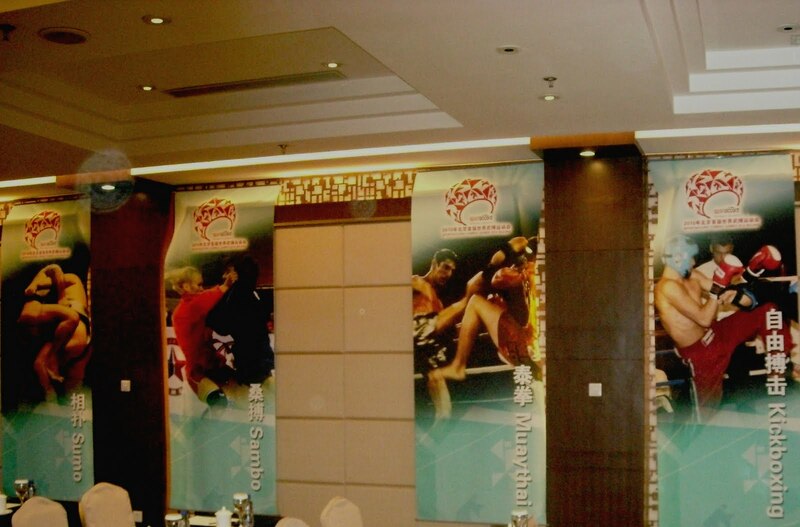 Will she win European combat championship 2010? Saint Christol lez Ales, Saturday 10th of April 2010. Florence - nice work. You created very attactive competition discipline. Toe of the shoe in the head after good "jambe arrier" counter. Boxing - english type becomes more and more funny. Promotion on both sides for every price. Next time - in 2011 we want to see also Apache group on this Festival. Savate Boxe Francaise JKD Luxembourg Open Air Workout on a sunny day Martial Mike Resch Victorien. Bernard Le Prevost vs. Xavier Lemoigne. Both competitors from Savate club CS Villette under Christian Guillaume's lead. 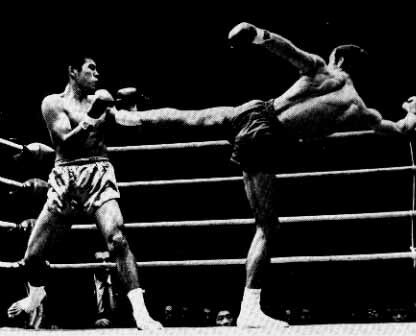 In 1969, French champion, Christian Guillaume traveled to Japan on a six week tour to take on the Japanese kickboxers. Guillaume fought five fights and won all. Three by KO in the first round. Discover - how different is a level of top kickboxing event called WAKO PRO and ordinary savate tournament. 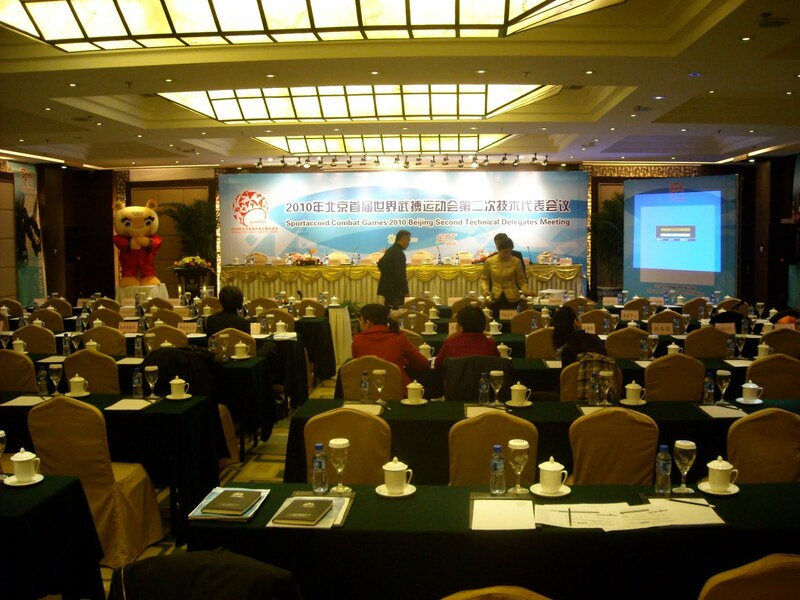 The second Technical meeting successfully held in Beijing. The planning of the Combat Games are on track when Sportaccord Delegates, the Local Organizing Committee (LOC) and the Technical Delegates from each International federation met in Beijing 29 and 30 April. The games that will be held in 3 arenas in Beijing 28. August to 4. September this year will include 13 combat sports. All technical details in each sports where cleared as well as the cultural programme, facilities and competition schedule. The Opening and Closing Ceremony are in a bid process soon to be concluded and. A new promotion video are released and will be found soon on YouTube. A media programme are produced and CCTV, the national Chinese TV company will produce all TV signal for the total Games. 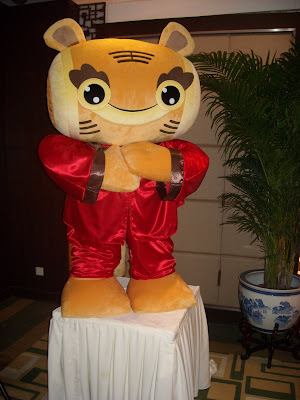 “The mascot named Dong Dong, is created with the core elements of tiger and drum. 2010 is the Year of Tiger in China's Lunar calendar. In the ancient China, warriors were used to be called Tiger Solider. 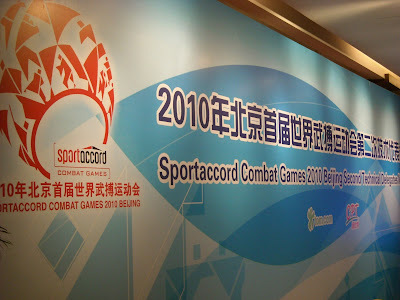 Using tiger not only shows the time of the first Sportaccord Combat Games, but also displays the spirit of all competitors via the Chinese culture of Tiger Solider. The traditional percussion instrument Drum widely used in the ancient China in battlefields and festival celebrations played a part in encouragement and concert background. So, the drum in mascot design features the distinctive Chinese characteristics, couragement & head-on of competitors and the lively atmosphere of Sportaccord Combat Games. Registration and booking: Espen Lund will come back with precise information about all registration processes. Presentation of Canne de Combat in 2001. An introduction to Canne de Combat and Cane Chausson delivered by instructors Julie Gabriel and Morgan Alexander from Cambridge Academy of Martial Arts. Is it compatible with savate fighting? Combat grappling is a form of safe amateur Mixed Martial Arts (MMA) that incorporates techniques from most existing Martial Arts systems, creating a unique fighting environment that alternatively takes the fight from standing to ground positions. Combat grappling matches are either won by grappling holds such as joint locks and chokes, or by striking and kicking techniques.